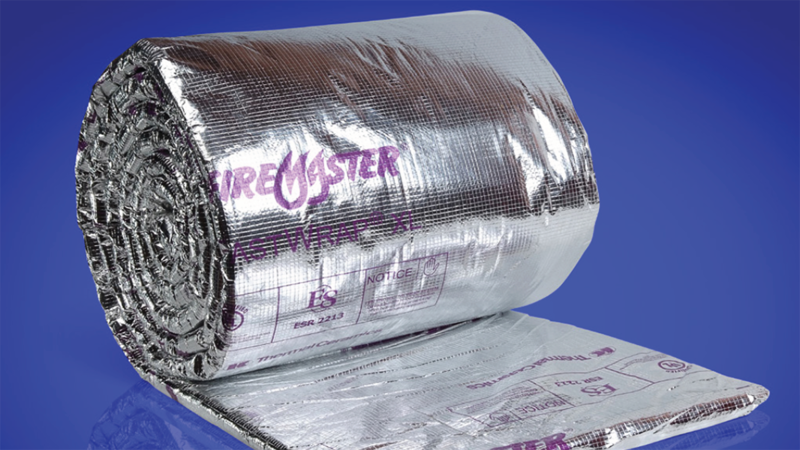 Thermal Ceramics FireMaster® FastWrap XL is a flexible blanket composed of high temperature fibers classified for applications to 2192°F (1200°C) and fully encapsulated in a durable glass fiber reinforced foil facing for easy handling and installation. Thermal Ceramics FastWrap XL is UL and ULC Listed for 1 and 2 hour fire resistive enclosure protection, zero clearance for kitchen exhaust ducts, electrical circuit protection, and as a component in UL firestop designs for fire resistance rated floors, ceilings, and walls. The core fibers in FastWrap XL are manufactured using Thermal Ceramics patented Superwool® fiber which is an alkaline-earth silicate wool with low biopersistence and therefore increased safety for installers. FastWrap XL is under UL’s Follow-Up Service Program to ensure the consistent quality essential to this life-safety application.